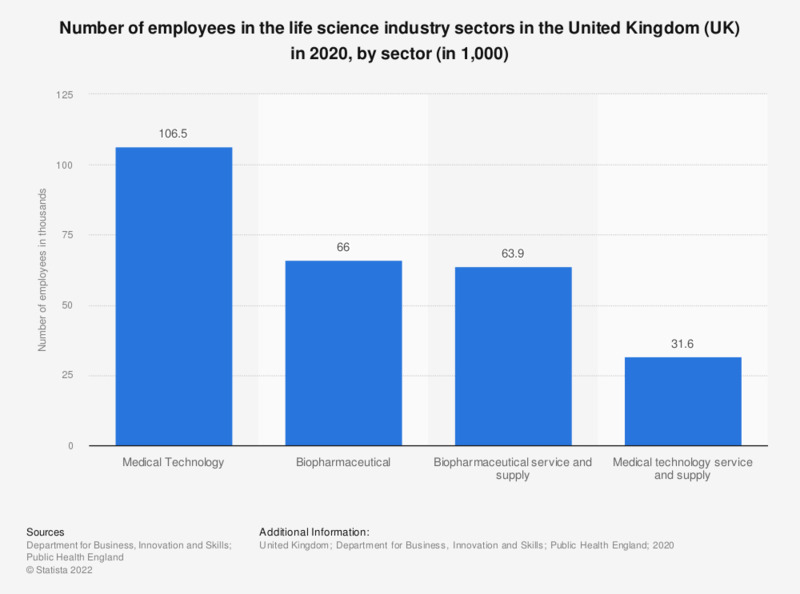 This statistic displays the number of employees in the life science industry sectors in the United Kingdom (UK) in 2017, by sector. The life science industry sectors include a variety of industries such as medical technology, biopharmaceuticals, biomedical devises and biomedical technologies. In 2017, the medical technology sector had the largest number of employees at 97 thousand employees. This was followed by the biopharmaceutical sector with 64 thousand employees. The sector with the lowest number was employees during this years was the medical technology service and supply sector at 24 thousand employees.